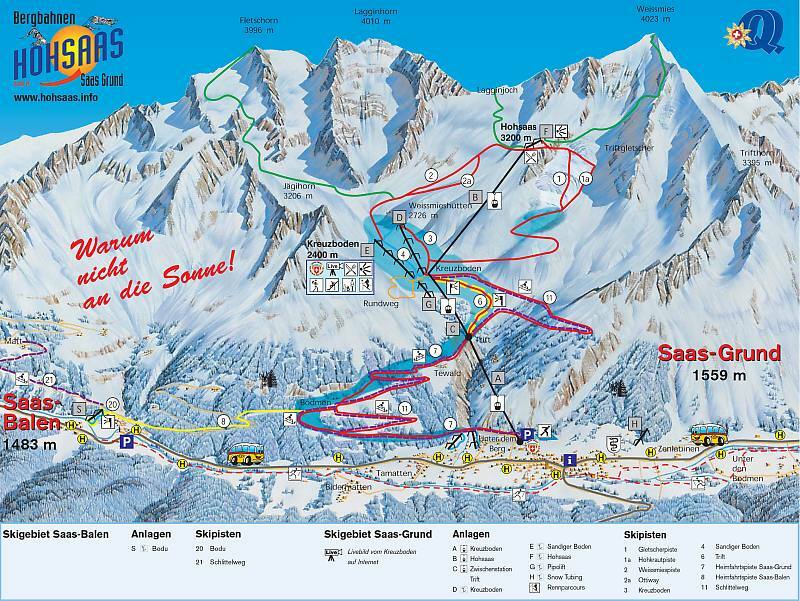 The Saas Grund ski area is sunny, has guaranteed snow, and the view of the 18 surrounding 4,000-plus peaks is stunning. It is a small area with 32 km local piste but is well-connected to the entire Saas Fee area and your skipass will give you access to 100 km trails in total. Furthermore you will find one of the longeste sledge runs in Europe, eleven-kilometres from Kreuzboden down to the valley!